In Ukraine, 30 per cent of all physical disabilities are caused by cardiovascular diseases. 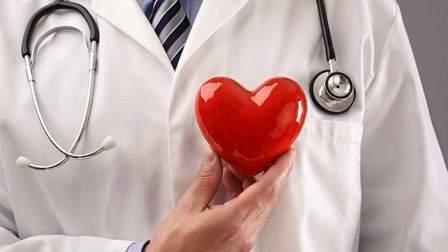 Among the leading causes of death there, cardiovascular diseases account for 60 per cent of all cases. The patients are not just the aged, but also the young. Nearly 130 youngsters in working population bracket die daily of heart problems, according to one estimate. Medical facilities are stretched, and there is an acute dearth of organ donation. All of which might explain why a 27-year-old woman from Ukraine got a new lease of life in Mumbai after she underwent heart transplant at a hospital in Mulund, a suburb of Mumbai, reports the Hindustan Times. The harvested heart had to be transported from Unity Hospital in Surat to Fortis Hospital in Mulund, in 92 minutes, covering a distance of 317km, says a Fortis Hospital press release. This is Mumbai's 46th heart transplant operation. The Ukrainian national was a model by profession. As soon as the prospective donor was declared brain dead by the hospital authorities, the family held a brief meeting and decided that the best way to keep their son's memory alive was to see his organs live in other people. Six of the deceased's organs - including the heart, liver, pancreas, corneas and kidneys - were given for harvesting. According to the doctors, the patient was suffering from postpartum dilated cardiomyopathy, which is a rare form of heart failure affecting women in the last month of pregnancy or up to five months after giving birth. In such cases, unless the heart transplant is done immediately, the patient may die. The harvested heart began its journey from Surat, at 9.30am on Monday. The heart was brought in by a charter flight, which took off from Surat at 9.57am and landed in Mumbai at 10.30am. A green corridor - facilitating faster transport in the milling traffic - had been created by the traffic police and the ambulance reached Fortis Hospital, Mulund, at 11.32am - covering a distance of 317km in one hour and 32 minutes. "The donor's family was instrumental in saving and enriching lives of seven recipients through their young son," said the doctors at Fortis. The patient is now stable. This is the first foreign patient to undergo a heart transplant in Mumbai. Mumbai, like Delhi, Bangalore and Kerala are centers of India's so-called medical tourism. The hospital environments, medical care and expertise are compatible with the best in the US or the UK, and the costs are much cheaper. According to the Medical Tourism Market Report 2015, India was "one of the lowest cost and highest quality of all medical tourism destinations; it offers wide variety of procedures at about one-tenth the cost of similar procedures in the United States". Close to 200,000 patients from abroad visit India a year for medical reasons. The Ukrainian model, now recovering, is one of them. She just might be the ambassador to boost the $3 billion medical tourism industry in India. Certainly, in Ukraine at least, she must bring good news to thousands of heart patients.